Datisfy provides QuickBooks users with Crystal Reports using QQube technology. 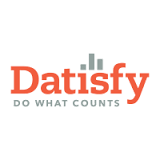 Datisfy helps CEOs, CFOs, and accountants get accurate, single-click data out of Quickbooks. Angela Meharg is the Founder and CEO of Datisfy. She’s specialized in Crystal Reports for over 18 years. In this case study we’ll her how Priority Matrix helps this CEO prioritize next action items and track team to-dos. Going mobile – sticky notes aren’t easy to transport! Angela currently uses Priority Matrix to train new employees and manage her own responsibilities. For her employees in training, she created a custom template “Training Curriculum”. As she gradually hands over new responsibilities, she uses Priority Matrix to pass on ownership of tasks and monitor their completion. Angela also created a custom template for her own work, with one quadrant labeled “Next Action Only”. This gives her a quick view of what to work on next when she finishes a task. Priority Matrix provides Angela with a cohesive view of her projects, which allows her to see how projects and tasks connect on a broad scale.